He is Leafa's friend and mentor in ALfheim Online. He is skilled in concealment and high level dark magic. 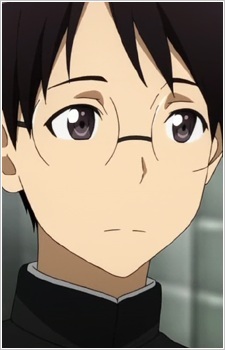 He harbors a crush on Suguha, being her classmate in real life. He is key in investigating the Salamander's infiltration of the Sylph, and uncovering Sigurd's plot. He later rejoins Kirito and Leafa at Aarun, and urges Lyfa to leave and return to Sylvain, after he finds her upset. Later he confesses to her and ends up getting punched. After Leafa returns from meeting Kirito again, she informs them they are attacking the World Tree. During the World Tree assault, Recon breaks off and attracts multiple guardians, and later uses high level dark magic called Sacrifice to self-destruct, which entails a higher death penalty. This action buys enough time for Sylph and Cait Sith reinforcements to arrive.